It's been a bumper few weeks for virtual reality. Both the Oculus Rift and HTC Vive are available to pre-order and Sony has confirmed a big launch event for PlayStation VR. In fact, check out Wareable's news hub and you'll see that VR has been dominating the wearable tech agenda for the last few weeks. There's been so much happening that we need a special VR-focused edition of And finally to mop up the bits you might have missed. The word from Sony is that it can't compete with Oculus on VR quality. 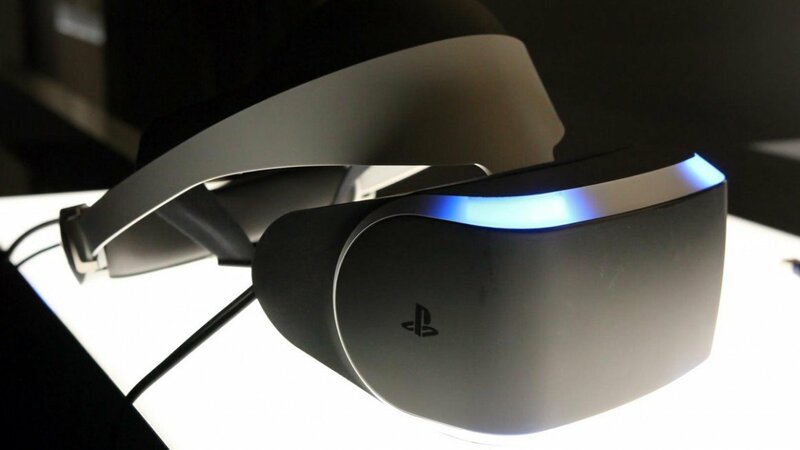 "If you just talk about the high-end quality, yes, I would admit that Oculus may have better VR," PlayStation executive vice president Masayasu Ito told Polygon, this week. "However, it requires a very expensive and very fast PC. The biggest advantage for Sony is our headset works with PS4. It's more for everyday use, so it has to be easy to use and it has to be affordable. This is not for the person who uses a high-end PC. It's for the mass market." Take a look at our Rift versus PlayStation VR showdown and be sure to check out our pick of all the top VR headsets. According to new job posting, Amazon is looking to gate crash the VR party. The retail giant wants to hire a senior software development manager for virtual reality. A job listing calls for a dev to "lead our Virtual Reality team" who will be responsible for "building the Virtual Reality experience within Amazon Video." "Entertainment is evolving rapidly," the job listing reads. "the Virtual Reality team will explore and create the platform and interface for immersive storytelling. This will include an ingestion and playback platform for Virtual Reality experiences." Also this week, we spoke with IM360 and NextVR about their plans and predictions for the near future of how live VR broadcasts will work. Bill Gates is busy saving the world but that doesn't mean he's not keeping an eye on the evolution of tech. During a Reddit AMA this week he claimed that augmented and virtual worlds would combine in the future. "VR is the extreme case of AR when nothing from the real world gets mixed in," he wrote. "It can be tricky if you are walking around that you might run into things. "Mixed systems which seems like VR but when you might hit something it shows you that seem better than pure VR. So I don't think these two things will stay as separate as they are now." If you're still unsure what the difference between the two are, check out our AR/VR guide. An interesting invite popped into the Wareable inbox this week - an invite from Huawei. If it's not an event for a mobile VR headset, we'll eat our virtual hat. LG also unveiled a mobile VR headset recently. Take a look at our LG 360 VR hands-on review. Some non-VR news now and Nest has upped its game by announcing a raft improvements for its thermostat. A new new Family Accounts feature will allow up to 10 people access to Nest products in your home and, by combing the family accounts, algorithms, sensor date and geo-location, Nest will be cleverer than ever. Nest isn't the only option for connected heating though - be sure to read our guide to the best smart thermostat systems. A year ago, Swatch CEO Nick Hayek revealed the company's smartwatch plans - a watch with NFC capabilities to handle payments, open hotel doors and compatible locks, and a watch with Bluetooth for displaying alerts and news from a smartphone. The Swatch Bellamy was subsequently announced in October, bringing contactless NFC payments to China, the US, Brazil and Switzerland. "We are not talking about competing with Apple," he said. "They are consumer-electronics people and we don't want to get into that sector. We are also competing with jewelry; it's two different worlds."